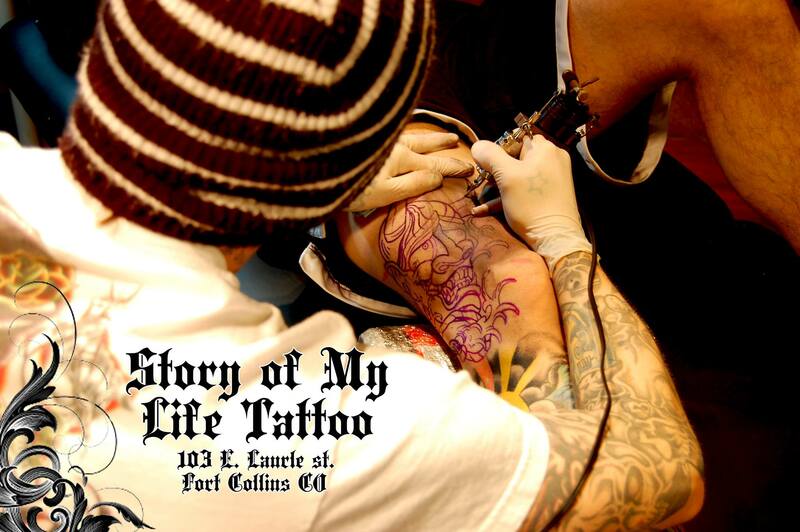 At Story Of My Life Tattoo Company we pride ourselves on being a custom tattoo studio. The tattoo industry is ever evolving and striving to be recognized as the fine art that we all believe it to be. While we have respect for the iconic images that built modern tattooing, we do not look to pre-drawn flash for inspiration. We put a piece of ourselves in every tattoo. As artists we push ourselves to learn and improve with every tattoo both for ourselves and for our customers. Being a tattoo artist is a lifelong process and we all recognize the duty we have to the industry we love to be everything we are capable of being. We can accommodate almost any style of tattoo. Whether you want photorealism, American Traditional, Japanese, or Neo-Traditional you can find an artist here to make your tattoo collection dreams come true.